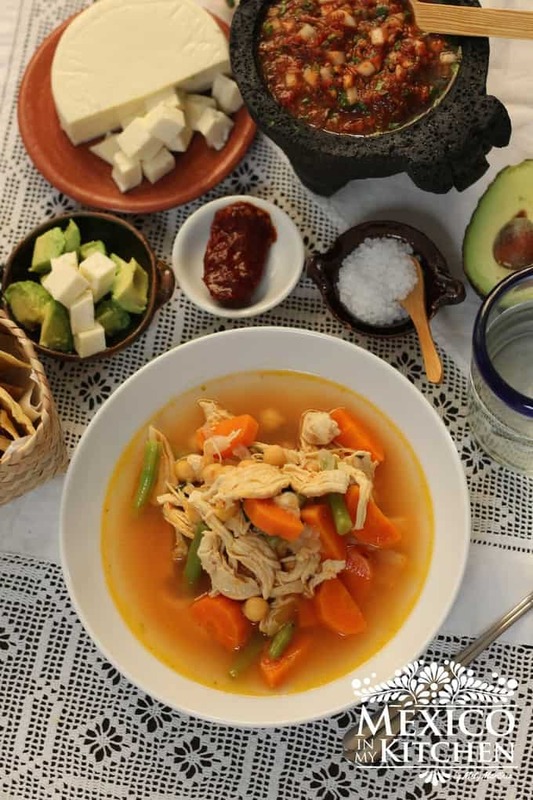 The Day of the Dead (Dia de los Muertos) is fast approaching, and families all throughout Mexico will be cooking the favorite foods of their lost loved ones. The will either take the food with them to the graveyard when visiting their lost family members or place it on altars built at home for them. One of the most common things people cook are tamales, like these Tamales de Rajas. The mellow flavor of the Queso Fresco makes a perfect match with the spiciness and smoky flavor of the roasted Poblano peppers. Not everyone fills them with Poblano peppers, though, as some cooks use Serrano or jalapeño peppers. I used Queso Fresco in this recipe, but you can use pretty much any of the other Mexican Cheeses. The key ingredient is cheese. Mexico has a vast variety of tamales, and the different fillings and ways of preparing the corn dough (masa) make each tamal special. In Central Mexico, cooks use a special corn masa (dough) to prepare these tamales. The corn dough is usually processed at local establishments called “Molinos de Nixtamal”, where they grind the corn into a coarse texture. Tamales made using this coarse dough are really light and fluffy. For all of you living outside Mexico, you can still use Corn Flour for Tamales, since it also has a coarse texture. You will love these tamales for breakfast, lunch or dinner, they’re perfect at any time of day. Gently remove skins and seeds from the Poblanos, with your hands then cut them into strips. Place corn husks in a large stock pot filled with hot water to soften. Once softened, drain them and set aside. In a large bowl, beat the lard until it’s airy (fluffy), about 6 minutes. After beating the lard, add the cornflour for tamales along with the baking powder. Mix well using a spatula. Pour the warm chicken broth and mix well until you form a soft dough. Keep mixing for about 5-6 minutes. The dough has to be soft and fluffy. Season with salt. Chop the Queso Fresco (cheese) into 1-inch pieces and place in a bowl. Gather the dough, salsa, cheese, peppers strips, and corn husks to assemble the tamales. Place a steamer in a large stock pot or line with aluminum foil at the bottom. Cover the rack with corn husks. Fill with hot water just below the steamer rack. Place a small coin at the bottom of the pot, that way if the pot needs more water, the coin will rattle and make noise. When adding more water to the pot, make sure to add it as close to the wall of the pot as possible. To form the tamales, using a large spoon, spread about 3 tablespoons of corn dough. Then add 1 tablespoon of salsa. Top with some pieces of Queso Fresco and Poblano Peppers strips. Fold the right side of the corn husk to the center of the Tamal and do the same with the left side. Fold over the narrow end of the husk towards the center and tie the tamal using a thin strip of corn husk. Repeat this process to from all the tamales. Place the tamales inside the already-prepared steamer and cook for 60 to 65 minutes. Check steamer occasionally and add hot water as needed. To check if the tamales are ready, remove one using kitchen tongs and place on a plate. Let it rest for 5 minutes. If the husk doesn’t stick to the tamal when removed, then your tamales are ready. Serve with red or green salsa. The mellow flavor of the Queso Fresco makes a perfect match with the spiciness and smoky flavor of the roasted Poblano peppers. Not everyone fills them with Poblano peppers, though, as some cooks use Serrano or jalapeño peppers. I used Queso Fresco in this recipe. Tamales de Rajas Con Queso. 16 Corn Husks plus extra to tie the tamales and for the steaming pot. Extra salsa and Mexican Cream to drizzle your tamales. Roast the Poblano peppers, either in your broiler or on a stovetop flame. Place inside a plastic bag for 3 minutes to steam. In a large bowl, beat the lard until it’s full, about 6 minutes. After beating the lard, add the cornflour for tamales along with the baking powder. Mix well using a spatula. * I’ve made these tamales using vegetable oil instead of lard, and they still come out really great. Just make sure your broth is full of flavor since the lard gives lots of flavor to the dough and without it, it’ll taste plain. ** You can also use Salsa Verde. Make extra salsa for serving along with the tamales when ready. Receta en Español Tamales con Queso. Primera vez que veo una receta de tamales que no me asusta, ademas me encantan las cantidades. Me animare a hacer tamales por primera vez con tu receta. Muchas gracias!! 1. Se usa la misma cantidad de aceite (2/3 de taza) que de manteca? 2. En la sección de "relleno" dice "poblano dos veces, es por los colores? gracias por notar lo de los poblanos, 🙂 ya quedo editado. Con respecto a el aceite, primero mezcla el aceite con la harina y poco a poco el caldo de pollo hasta que la consistencia de la masa esté bien suavecita y untable. Quizás no necesitas toda la cantidad del caldo indicado en la receta. These look so good and I love that you gave the recipe for only 12, which will be plenty for hubby and me! I'm going to make these! Yes, only 12 in a medium size, just perfect to have 2 for dinner per person. Regards. Is there anyway to pin this on Pinterest ? There are several ways, one is to add the Pinterest widget to your toolbar, and the pinterest icon will show in every picture when you place the cursor over the picture. Second option is going to your pinterest account, click the add a pin in the board of your choice and choose the add a web link option. Third option will be to go to Mexico in my Kitchen account in pinterest and check out boards for Mexican food, you will find the blog pictures there. Thank you for sharing this recipe! This was the best tamales recipe I've made; they were so tender and flavorful. The salsa inside was the missing link I'd been looking for in a tamales de rajas recipe. All of my guests loved them, including the first time tamal eaters. I doubled the recipe, and one 12-oz queso fresco was enough for all the tamales, with some left over for my snack. Thanks! How much vegetable oil should I use if I am not using lard? Add 1/2 cup of vegetable oil. And knead the dough, if it feel dry and grainy, add one 1/4 cup more of vegetable oil. I followed this recipe and it came out delicious! I used Oaxaca cheese instead but kept everything else the same. They were a hit, will make them again. I've been craving tamales since Dec started. My husband and I went to a place that had good reviews for their tamales and eh….they were OKAY I guess. I knew you would have a recipe for tamales so I decided to try them myself. I made these last night and they came out PERFECT!!! My husband is from Chiapas, MX and I am a gringa haha, and I make alot of your recipes for him and he thinks they taste very authentic. I roasted the peppers on my gas BBQ for a few minutes instead of on the stove and then put them in a bag to sweat. I like this better because my kids complain about the strong smell of the peppers. I'm going to try making the corn tamales today. Thank you!!! Mely, you used to have Red shredded beef tamales a long time ago and I no longer see it on here. Did you remove it or am I thinking I saw the recipe? Is the red salsa store bought or homemade? If homemade do you have a recipe on your web site you recommend? Here is the link for the salsa recipe. Mely, my mom makes tamales with queso fresco. I prefer it over Monterey Jack. Your recipes are just how my mom cooks. The thing is-my mom, cooks using her hand to measure, to taste, or just looking at it. My food is not as flavorful. I have yet to master Mexican food. We learn by practicing ad by taste the food when cooking, adding the seasoning little but little until we find the right taste to our liking. I’m so happy to see your recipe for cheese tamales. I’ve been trying to create a corn and cheese tamale because my husband always speaks about the ones his grandmother made but she was long dead before we even met and his sister refuses to share the recipe. It taste good but I never could get the cheese right. First I tried Velveeta and next sharp cheddar. Both looked terrible and the cheese flavor was off. I will try again with your cheese recommendation. I add corn kernels to the masa dough and strips of serrano peppers.. 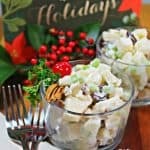 I love your blog and hope to someday try more recipes. Please come back to let me know how did the recipe turn up for you. Mely,the flour you refer to: Is this Masa Harina or Maseca? I’ve always made tamales using “masa preparada” from the tortilleria (I live in metro Phoenix, and we have tons). How much of the masa preparada would you use for this amount of tamales? It’s sold in 5# bags. Since we make 15-20 dozen tamales at Christmastime, it’s difficult for me to judge the amount of masa for this amount of tamales. Thanks for bringing me back to my childhood and all of those great memories (and recipes)! Since I had lived in areas where masa preparada was not easy to find, all the recipes on the blog indicate measurements for Maseca or masa harina. Now, that I live in Texas, I will get the amounts by weight and post the update in the recipes. Love this tamales!!! Uno de mis favoritos!